IDC organizes activities with the schools nearby in order to promote the intercultural experience through informal lessons. The volunteers that aim to have experience in children education have the occasion to join this program and bring to the students their testimony and their teaching. 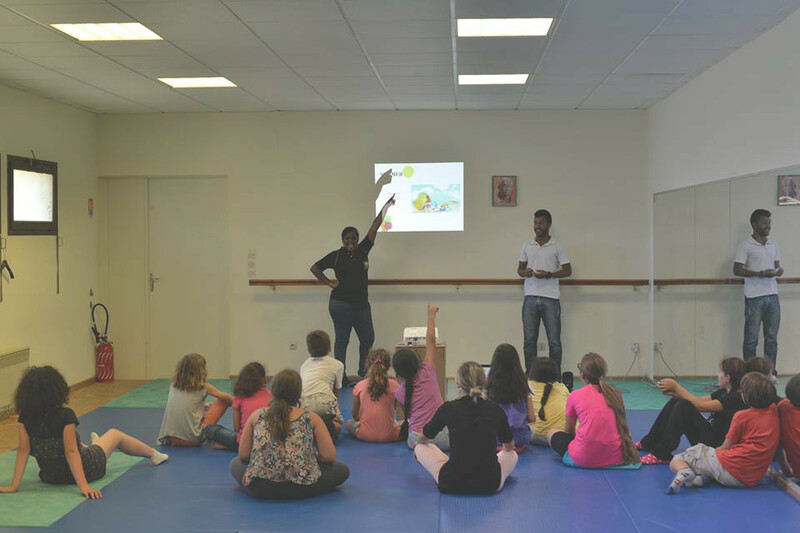 In May 2016, Márcio from Brazil and Jothi from Malaysia started their cultural activities in the school in Villegailhenc, a village near our campsite. They had a great time with the children and shared some smiles and laughters. They have gotten to know each other and had wonderful moments of both learning and distraction. English was the primary mode of communication although they did speak French but only when necessary. Marcio and Jothi shared a little of their culture and music with the children and they also learned from the children, an example of which is being more patient. The 30th of June was the last day of school and they will miss the experience but they are happy and content about what they have learned, the kids they have gotten to know, and the teaching assistants who received everyday with smiles and tenderness. These moments are part of the most beautiful souvenirs of volunteering in European Voluntary Service.